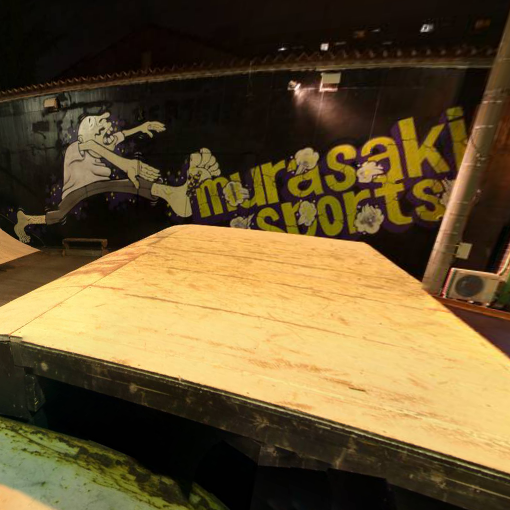 i went on my weekly thursday skate session at the map’s tokyo skatepark yesterday. the temperature change from day to night must have caused some dew on the ramps because they were really really slippery. so there was hardly anyone there, so i took the advantage to take some photos of the park. here’s what came out of it. enjoy! teppei (nasty) doing the big 3 at yokohama world porters. he’s hopping it a little slanted because there’s a fence right after the landing. skillz!